While we make every effort to ensure the data listed here is correct, there may be instances where some of the factory offers, incentives, options or vehicle features may be listed incorrectly as we get data from multiple data sources. Please confirm the details of this vehicle with the dealer to ensure its accuracy. Dealer cannot be held liable for data that is listed incorrectly. 36-month lease payments are plus tax, tag, title, registration; 12,000 miles per year. Payment based on zero due at signing. Payment includes all applicable Honda factory to dealer incentives. Payment does not include a pre-delivery service fee of $995 and Private Tag Agency Fee of $184, which charges represent costs and profits to the dealer for items such as inspecting, cleaning and adjusting vehicles and preparing documents related to the sale. The payment does not include Manufacturer destination fee for all new Honda Vehicles. All offers are mutually exclusive and include all applicable Brandon Honda Advantage Club discounts. Any price does not include dealer installed accessories. All vehicles subject to prior sale. See dealer for complete details. 36-month lease payments are plus tax, tag, title, registration; 12,000 miles per year. Payment is with $1,499 due at lease signing. Payment includes all applicable Honda factory to dealer incentives. Payment does not include a pre-delivery service fee of $995 and Private Tag Agency Fee of $184, which charges represent costs and profits to the dealer for items such as inspecting, cleaning and adjusting vehicles and preparing documents related to the sale. The payment does not include Manufacturer destination fee for all new Honda Vehicles. All offers are mutually exclusive and include all applicable Brandon Honda Advantage Club discounts. Any price does not include dealer installed accessories. All vehicles subject to prior sale. See dealer for complete details. Price is plus tax, tag, title, registration, pre-delivery service fee of $995, and Private Tag Agency Fee of $184, which charges represents costs and profits to the dealer for items such as inspecting, cleaning, and adjusting vehicles and preparing documents related to the sale. 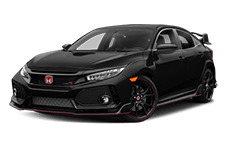 Price includes all applicable Honda factory to dealer incentives.Price does not include any dealer installed accessories. The MSRP listed on the website includes Manufacturer destination fee. All other price offers do not include manufacturer destination. All offers are mutually exclusive and include all applicable Brandon Honda Advantage Club discounts. All vehicles subject to prior sale. See dealer for complete details. 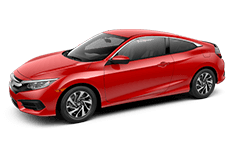 0% APR for 72 months on 2018 Honda models with a maximum finance of $15,000. Must have a 780 credit beacon score or higher and approved credit. Cannot be combined with any other offers. All used vehicle prices are plus tax, tag, title, registration, a pre-delivery service fee of $995 and Private Tag Agency Fee of $184, which charges represent costs and profits to the dealer for items such as inspecting, cleaning and adjusting vehicles and preparing documents related to the sale. Final price is also subject to safety inspection cost, certification cost, and repair order reconditioning cost. Any price does not include dealer installed accessories. All offers are mutually exclusive and include all applicable Brandon Honda Advantage Club discounts. All vehicles subject to prior sale. See dealer for complete details. Brandon Honda Certified Used Cars (BHCUC) Lifetime Warranty powertrain coverage begins on date of purchase and actual miles on the odometer. Warranty on most makes and models, eight (8) model years back or newer with less than 80,000 miles. Non-transferable, $100 deductible. To make a claim, call 1-800-870-6856 during normal business hours. See dealer for complete BHCUC details. No cash value. See dealer for complete details. Good for 5 days after the sale. To qualify, a competing offer must be an official, legally binding, written offer on a new untitled Honda from an incorporated Florida Honda dealership. It must be signed and dated by an authorized dealership official, and include make, model, year, mileage, factory equipment, dealer installed accessories, and serial number. It must include detailed price, terms, and conditions and be current (unexpired) on the date presented. Bring your written offer in person to Brandon Honda, located at 9209 E. Adamo Drive in Tampa, FL 33619. If Brandon Honda cannot beat your best offer, you must provide the following to receive the $1,000. You must provide proof of purchase including the new DMV registration on purchased vehicle. Purchase documents must document that you purchased the exact same vehicle (serial number) as the quote provided. Vehicle purchased must have the same equipment, accessories, and terms as our vehicle and our proposal. To receive the $1,000, Brandon Honda requires you to fill out a W-9 and submit to us all required stipulations of proof. The $1,000 check will be mailed within 14 days after all the required documentation is received. By submitting my cell phone number to the Dealership, I agree to receive text messages, and phone calls, which may be recorded and/or sent using automated dialing equipment or software from Brandon Honda and its affiliates in the future, unless I opt-out from such communications. I understand that my consent to be contacted is not a requirement to purchase any product or service and that I can opt-out at any time. I agree to pay my mobile service provider’s text messaging rates, if applicable.